Dimensions 0.25 by 6.75 by 9.50 in. 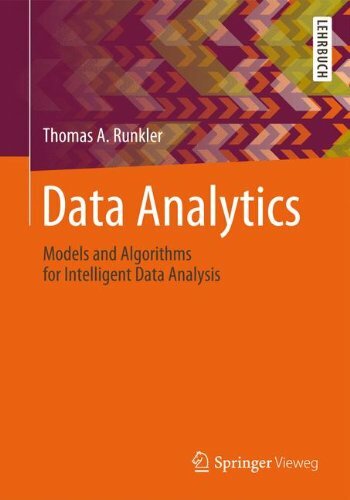 Amazon.com description: Product Description: This book is a comprehensive introduction to the methods and algorithms and approaches of modern data analytics. It covers data preprocessing, visualization, correlation, regression, forecasting, classification, and clustering. It provides a sound mathematical basis, discusses advantages and drawbacks of different approaches, and enables the reader to design and implement data analytics solutions for real-world applications. The text is designed for undergraduate and graduate courses on data analytics for engineering, computer science, and math students. It is also suitable for practitioners working on data analytics projects. This book has been used for more than ten years in numerous courses at the Technical University of Munich, Germany, in short courses at several other universities, and in tutorials at scientific conferences. Much of the content is based on the results of industrial research and development projects at Siemens. About: This book is a comprehensive introduction to the methods and algorithms of modern data analytics. About: This book is a comprehensive introduction to the methods and algorithms and approaches of modern data analytics.